Common nasturtium. I know the genus is Tropaeolum, but what species is it? Tropaeolum majus? Taraxacum officinale, better known as common dandelion. Rarely grown intentionally, but everybody has it. Sedum adolphii. In full sun the leaves are a golden color. Garden Bloggers’ Bloom Day is a meme of May Dreams Garden. 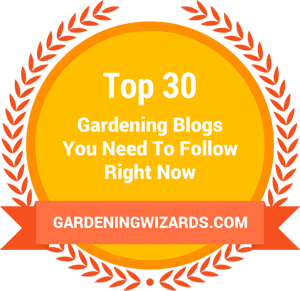 Click here to see more related posts from other garden bloggers. Definitely! Seeing so many flowers instantly improves my mood. Anna I planted dandelion seeds one year, they taste wonderful! Of course I harvested before they bloomed. Maybe she wanted to grow dandelion for salads? I've never seen dandelion seed for sale before. Maybe I should collect seeds and sell it on eBay? More like well worth the wait seeing all those lovely blooms in your garden Gerhard! I'm sure I'll be looking at these photos when everything is brown in the winter. Such a great range of plants in flower for this time of year. Thanks! I was surprised myself. All of a sudden everything exploded into bloom. You've got a lot blooming there Mister! I think my favorite combination is the California poppy and Yucca rostrata, so very California. I like that too. It can only be seen from our neighbor's driveway, but hey, it still counts. Good photos. Spreading out bloom day posts gives us a chance to get to them all, or as many as we can. The Cassia is beautifully silvery. Those silvery leaves were what drew me to that cassia. The flowers are a bonus. Plus, it was only $3.99 at Elgin Nursery in Phoenix. The Euphorbia enopla caught my eye -- have you posted about that before? Also love the penstemon. And poppies of course! Alan, I'm not sure I've ever featured that Euphorbia enopla before. Maybe I should do a dedicated post on all the euphorbias that have somehow moved in with us. 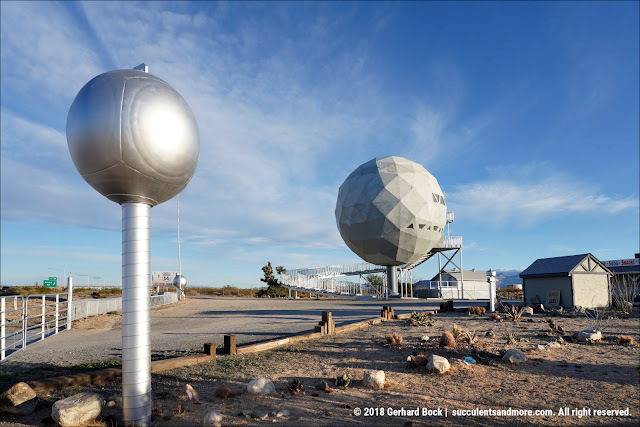 Happy Spring, Gerhard! Love the poppies and the yucca... so many beautiful combos. Your garden looks wonderful. Same to you, Luisa! Ever more poppies opening up in the neighborhood. They're so cheery, but I don't want them everywhere so I keep pullling them out. Unfortunately, they don't transplant well. Victoria, your project sounds fantastic! I love the alternatives to lawns that creative gardeners come up with. I'll check out your site! That first photo kind of startled me, because for a moment I thought it was my garden! That agave, that euphorb and that lav all accounted for here, the only difference is that geum hasn't begun to bloom yet in its first year here. I agree that cassia is very cool. That's too funy! It's pretty much the view from the kitchen window. This geum is in its third year now and blooming better than ever.